MASON CITY – Mandy Willems scored 29 points and Jada Buford scored 20 points to lead No. 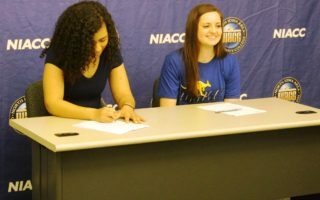 7 NIACC to a 99-70 victory over Iowa Lakes Thursday night in an ICCAC women’s basketball contest. MASON CITY – The No. 14 NIACC men’s basketball team outscored Iowa Lakes 119-110 Thursday in an ICCAC contest. Quentin Hardrict recorded his first career double/double with 26 points, a career-high 13 assists and career-best six steals to lead NIACC. The 13 assists is tied for third on NIACC’s single-game assist list and most since Trei Mitchell had 13 in a game in 2014-15 season. Also for the Trojans on Thursday, Wendell Matthews scored 20 points with 13 rebounds and Deundra Roberson scored 22 points with four assists and four steals. It was Matthews’ eighth career double/double. 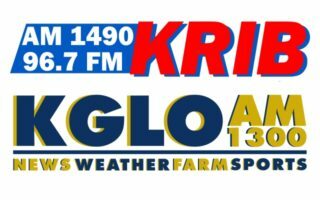 GARNER — Clear Lake outscored Garner-Hayfield-Ventura 31-14 in the second half on their way to a 63-40 win in non-conference girls basketball last night, as you heard on AM-1490/96.7-FM KRIB. Lexi Fasbender led the Lions with 17 points while Julia Merfeld had 12 and Sara Faber 11. Clear Lake improves to 13-3 on the season. The Clear Lake boys remain undefeated as they held off Garner-Hayfield-Ventura 63-57. Tate Storbeck and Carson Toebe each scored 17 to lead Clear Lake, as the Lions improve to 16-0 on the season. James Betz had 30 points to lead the Cardinals, who drop to 13-6 on the year. Both Clear Lake teams will host Humboldt tonight in North Central Conference play, a doubleheader you’ll hear on KRIB starting with the girls game at 6:15. IOWA CITY — The Iowa Hawkeyes could really use a marquee win and they get another chance on Friday night when they host fifth ranked Michigan. The Hawkeyes are 5-5 in the Big Ten and coach Fran McCaffery says it will take a complete effort to get the win. McCaffery believes Friday nights should be about high school basketball. The Big Ten’s new television deal with FOX means the league is playing on Friday nights for the first time this season. ANN ARBOR — The University of Iowa women’s basketball team’s road game with Michigan, originally scheduled for Thursday, has been rescheduled for this morning at 11:00 a.m., Iowa time. 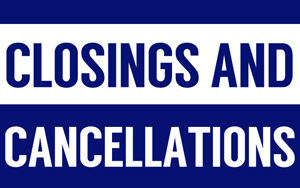 The postponement was due to continuing inclement weather and the University of Michigan remaining closed until early Friday morning. The 13th ranked Hawkeyes are 7-2 in the Big Ten and will take a five game winning streak into Friday’s game. MASON CITY — The road to the state wrestling tournament starts tomorrow for wrestlers in Classes 1A and 2A with sectional wrestling tournaments. The top two placewinners at each weight qualify for next week’s district tournaments, while the top two teams in each sectional will wrestle in regional duals next Tuesday. Tournaments start at noon. We’ll have hourly reports at :05 after the hour starting at 1:05 tomorrow afternoon on AM-1490/96.7-FM KRIB, kribam.com, and via the KRIB mobile app. COUNCIL BLUFFS – The NIACC wrestling team topped Iowa Western 26-18 in its final dual meet of the season Thursday night. NIACC gained wins from Mark Gonzales (125), Brock Luthens (133), Hunter Luke (141), Tony Mendoza (149) and Reldon Miller (184). NIACC will host the NJCAA North Central District Tournament on Sunday February 10th.